SPORAH TV: HAVE A WONDERFUL WEEKEND EVERYONE! SOPHIA & SPORAH - SISTERS WITH VOICES. Hey my sister, you both look good, very beautiful. True unique sisters, Mko juu my dada's. Nywele dada zangu, mmependeza sana. SPOSOP. (Sporah & Sophy) Mnaionaje hii. Luck girl, I really like you guys, and i hope to meet Sporah oneday oneday. Keep asking myself who's Sporah's best friend? Now i know. OKAY, So who is Sporah's boyfriends??? that hair really suits ur looks ladies. I like the SPOSOP, It sound great, your genius. My Fav Ladies of all the time. Nywele, magauni, mahereni, maskin yenu, kha. Hapana Chezea nyie kapisa kapisaaaa. Du huyo hapo juu namuona ni wale true fan.. Mpaka ameamua kuweka na mistari, inapendeza sana. Awww I love the picture, you both look great! you so naturally beautiful ladies. Beautiful, talanted, DOWN TO EARTH! What's not to love? Love my girl, You look beautiful Sporah. 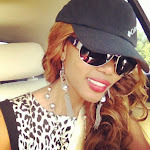 Sporah looks older with this look but she still looks beautiful. Sophia, hizi nywele zinakupendeza sana shikilia hapohapo. 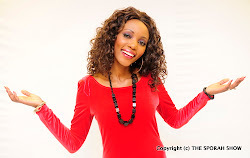 Sporah you inspires me alot and many people to follow their dreams. I love you for that. 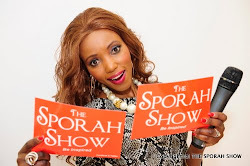 WE REALLY APPRECIATE YOUR EEFFORTS SPORAH, BIG UP. Sporah are you happy all the time?????? Hey Ladies, Thank you for the great work, As African leaving in Germany, Am so proud and greatly motivated, Keep it up THE SISTERS WITH VOICES! MOTHER ALWAYS SAYS IF YOU CANT TAKE THE HEAT PLEASE DONT GO INTO THE KITHCHEN.........WELL THE SPORAH SHOW IS BRINGING THE HEAT TO OUR BEM COMMUNITY! WATCH THE SPACE. I just love you sporah so very much. I like the sposop too. Ni kwamuda mrefu nimekua nikijiuliza rafiki ya Sporah ni nani?? Kumbe ni shoga angu Sophia! You look good Sporah kama kawaida yaho! Ha ha ha, I like that song up there! Sporah and Sophy do the pretty girl... Rock Rock Rock.